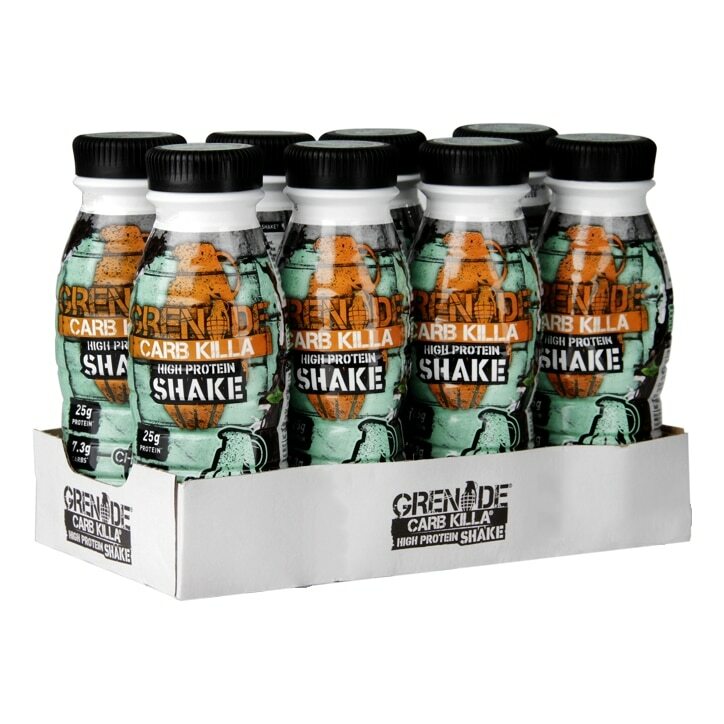 Thick, creamy & seriously indulgent, Grenade Chocolate Mint Carb Killa shake is a high protein drink. Drink between meals for additional protein with a great chocolate mint taste - without unwanted calories or carbs! With 25g of protein and only 7g of carbs, Carb Killa Shake is a convenient way to up your protein intake. Each drink is 330ml. Grenade Carb Killa Shake Choc Mint is rated 4.9 out of 5 by 7. Rated 5 out of 5 by Aga23 from Amazing I purchased this fab drink recently in my local Holland and Barrett store.The taste abd nutrition in it are mind blowing 25g of protein low suger, 195 kcal, low carbs.Amazibg product on the go just perfect. Rated 5 out of 5 by Simmo17 from Great tasting Great tasting protein drink - Enjoyable chilled or hot! Rated 5 out of 5 by sjkeegan007 from Best tasting shake there is! I enjoy most grenade products - particularly the cookies and cream protein bar however, this shake was recommended by a friend who ask if "I liked after eights?". Product is delicious, easy to store and has not upset my digestive system like most shakes do. Rated 5 out of 5 by Charl31 from Yum! As someone who has tried so many different proteins on the market this one is simply delicious. No powdery/sweetener taste and very convenient.